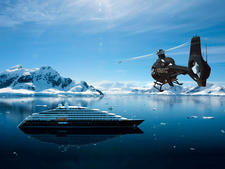 Part of the popular Space Ship series, Scenic Ruby is an upscale, luxury vessel with clean, modern lines and no-fuss contemporary decor. Most cabins feature "sun lounge" balconies that expand living space, let in light and may be used whatever the weather. 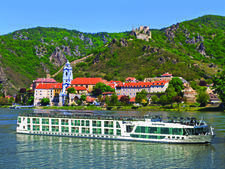 Service, by a mostly Eastern-European staff that understands English, bordered on exceptional on our spring "Rhine Highlights" sailing. Did we mention each cabin comes with a butler? 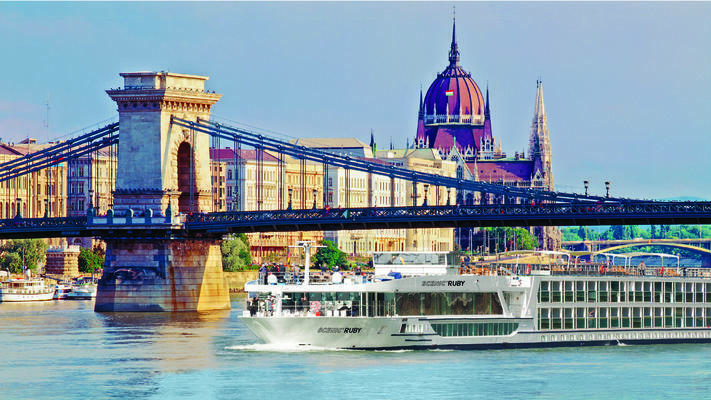 Scenic is one of the most inclusive of all the river cruise lines, with tips, shore excursions, airport transfers and beverages all in the fare. Drinks come at meals, from an in-room mini-bar stocked daily, and from the ship's bar that opens at 9 a.m. and runs until the last passenger leaves in the wee hours. 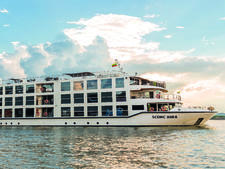 There's also free shipwide internet, electrically assisted bikes, handheld GPS devices for enhanced sightseeing -- and even one small load of laundry. Scenic Ruby doesn't skimp on little luxuries, either, from L'Occitane amenities and fluffy robes in the sleek bathrooms to Valrhona chocolates on pillows. The only onboard fees are for massage or hair salon services, extra laundry and a handful of the highest-end liquors and fancy Champagne. Considering the small kitchen space that we observed on an optional galley tour, the culinary team does a fine job turning out fare for multiple dining options served in two main public areas, the Crystal Dining Restaurant and the Panorama Lounge & Bar. 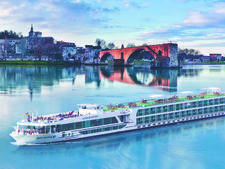 Choices are wide-ranging and, in addition to German-themed food that complements the cruise itinerary, include such European touches as plentiful cheese trays and fish selections, plus some Asian, vegetarian and vegan fare. Attention to special dietary needs is impressive, complete with a personal consultation, special highlighted menus and labeled items, such as lactose-free muesli and yogurt and gluten-free choices. The free state-of-the-art coffee machine in the lounge is a shipboard favorite, dispensing tasty self-serve drinks that keep passengers coming back, 24/7, for more. The large selection of teas is also popular. 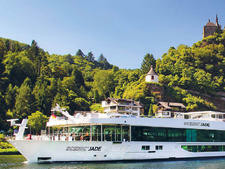 A no-public-announcements policy makes for a more relaxed cruise. 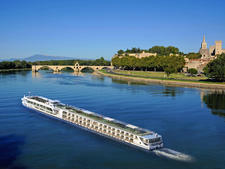 Passengers stay abreast of goings-on via in-room TVs and big screens in the lounge. 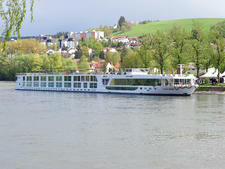 A long, open room with windows on both sides, the lounge is the heart of the ship, abuzz with activity day and night. Public spaces and cabins, meanwhile, are kept immaculately clean. 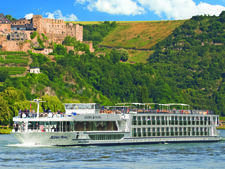 Shore excursions range from city, castle and vineyard tours to e-bike outings, with a bigger menu of active tours planned for 2019 after the ship's scheduled remodeling. 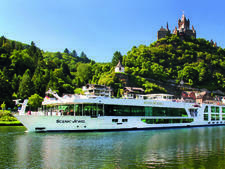 A cruise highlight for us and many other passengers was a complimentary evening vocal concert, reached via motorcoach, in a baroque palace in Rastatt, Germany. 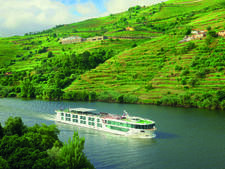 Though much time is spent sightseeing on shore with comparatively little left for shipboard relaxation, Scenic Ruby's onboard experience should be greatly enhanced in 2019 with the addition of a larger wellness center, "well-being" coach, onboard yoga and stretching classes and an innovative salt therapy lounge. Since Australian-owned Scenic began boosting its North American marketing efforts a few years ago, a growing number of Americans and Canadians can be counted among its passengers, previously dominated by Australians, New Zealanders and Brits. These days, there's an interesting international mix, plus a smattering of Spanish, French, German, South American and Asian passengers. Scenic Ruby's programming is all in English. Passengers are mostly middle-aged and older, including many retirees, plus a handful of younger couples and family groups with teens and pre-teens. There are no planned children's programs, but there was a mature 10-year-old, happily hanging out with his grandfather, on our "Rhine Highlights" cruise. 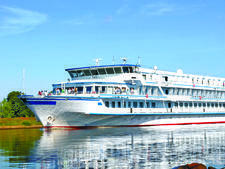 Passengers skew younger on Scenic Ruby's shorter, eight-day sailings than on longer 15-day cruises and tend to be an active bunch, zipping around on electrically assisted bikes and choosing other outdoorsy pursuits. Scenic Ruby is pretty informal (you definitely don't need a ballgown or tux!) but you'll want long pants in the dining room and a few dressier outfits for dinner. Ladies, think slacks or skirt and a nice top or a casual dress; men, a pair of khakis or dress pants and a button-down shirt or sports coat/jacket (tie is optional). 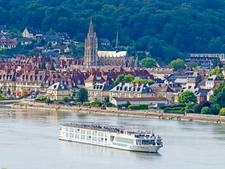 For tours, comfortable clothes and walking shoes are a must as many European towns have cobblestone streets. 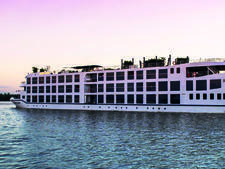 Nearly everything is included in the cruise fare: all shore excursions, airport transfers, Wi-Fi (in-cabin and out), meals and all but the highest-end drinks, plus the cabin mini-bar that is stocked daily. Perhaps best of all, there's no pressure to tip on Scenic Ruby (or other Scenic ships) -- no envelopes or constant tipping reminders as on some other cruises. 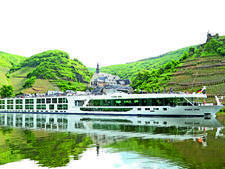 While tips are not expected, they're appreciated, of course, by crew members, who were almost universally pleasant on our spring "Rhine Highlights cruise," where the ratio of crew to passengers was 53 to 167. Several passengers we talked to credited the lack of pressure surrounding tipping with boosting Scenic Ruby's relaxation factor. The only onboard fees are for massage, hair salon or extra laundry services, and a handful of ultra-premium liquors and fancy Champagne. The euro is the shipboard currency. 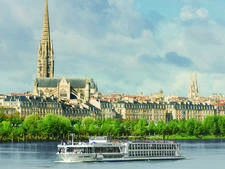 Airfare also is extra, but look for Scenic's frequent early-booking offers and other special discounts.